Home / Application Case Studies / Coffee Scale, Caffeine Hit on a Major Scale! Coffee Scale, Caffeine Hit on a Major Scale! A&D Australasia’s Weighing Division recently solved a problem for local boutique coffee blender and roaster Veneziano Coffee, with a customised, portable weigh hopper that reduced OH&S risks and significantly improved their blending process. Veneziano are renowned for their premium coffee so they expected a premium solution. Needed to accurately add small and large amounts (within 50g accuracy) to create up to 400kg blends. Hopper was to be fully portable with battery or mains powered weight system on board. The A&D Weighing design team went to work and the system was built, tested, inspected, delivered and training completed within budget and time-frame. Now the operators simply wheel the hopper to each pallet of raw beans, add the required amount to the hopper weigh scale, tare the A&D AD4406 controller before adding the next ingredient and so-on until the batch is completed. The hopper weigh scale is then wheeled into position under the vacuum pipe that extracts the beans up into the roaster. 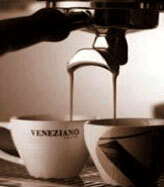 Next step – a fresh Veneziano Espresso! They also ensured a “future-proof” system by utilising a Weighing controller that would easily allow the client to add wireless scale weight communication directly to their production PC if ever required. Most A&D scales, balances and weight indicators can be expanded in this way. A&D Weighing continue to prove that economical, Australian designed and manufactured solutions are a vital resource for local industry.